The Discipleship Training School (YWAM-DTS) seeks to bring you into a more intimate relationship with God. It also gives you an opportunity to discover your passions and your part in God’s purposes for the world. It is for those who long to follow Jesus in new ways with a different perspective. The course is a full-time program and lasts close to six months. It consists of two parts: lecture phase and outreach phase. In the lecture phase, you will learn more about God and His world. You’ll learn not only from lectures but also from community living and practical training. The outreach phase focuses on applying what you learned in the classroom through an intense, cross-cultural experience. The Classic DTS focuses on the timeless heart of YWAM-DTS as designed in the first years of the mission – to know God and make Him known. The Troubadour DTS focuses on performing arts. Creative learning is facilitated and creative people are embraced and celebrated. Students will use their talents during lecture and outreach. The Passion and Pursuit DTS provides a platform to step into a lifestyle of a wholehearted pursuit of God, seeking Him through teachings, prayer, and worship to establish a life of intimacy with Jesus. This DTS will form Christians who are committed to the truth and to bringing transformation from the inside as a true follower of Christ. You can learn English at your English Language School. YWAM Worcester offers an unique experience for non-English speaking students in 5 different levels of proficiency. Learning incorporates classroom and ministry activities. If you already speak English you can be training to be an English Teacher through our TESOL program. Be equipped to teach English to Speakers of other Languages! YWAM’s training programs aim to equip Christians to minister in a cross-cultural setting. YWAM-DTS is our foundational course and serves as the prerequisite for all other training programs. YWAM courses, often called “schools,” combine theory with practical application. They usually last between three and six months. For many YWAM students, the intensive learning combined with community living makes for a transformational experience. 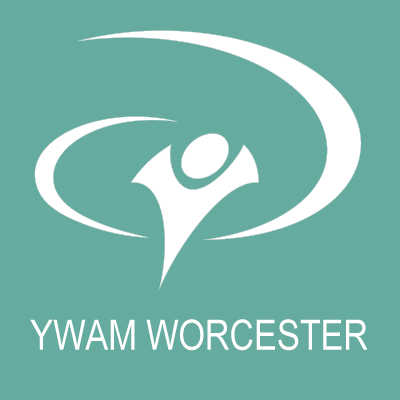 Check the different training opportunities at YWAM Worcester. Formerly known as Methods and Models for Biblical Counseling! Study and share the Word through story telling!